One of the big announcements this year at Magento Live’s London edition was the news of Magento’s collaboration with Google to offer native Progressive Web Apps (PWAs). Magento plans to make the PWA capabilities available for the full Magento Commerce community in 2018. As per the announcement, ‘PWAs offer fast, frictionless, “app-like” experiences driving more traffic, higher conversions and faster page load times for Magento merchants’. What does this mean for eCommerce sites? 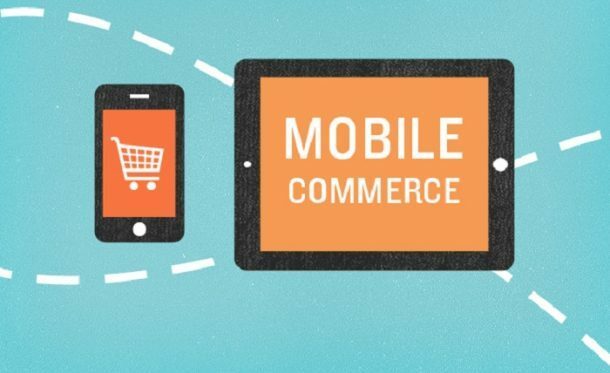 More importantly, how does it impact m-commerce? Need Help!Our team can assist you in building secure and scalable eCommerce solutions. Put simply, PWAs are mobile apps delivered via the web. The in-built technology allows PWAs to deliver an app-like experience on web browsers. The experience is very like a native app owing to the use of an app-shell that provides app-style navigation and gestures. Since progressive apps are built on the web, they are device-independent. Thus, PWAs work seamlessly and identically on any device be it desktop, mobile, tablet, or whatever comes next. PWAs require zero installs, launch instantly, there is no app store mediation and can be updated just like web pages (no app updates), and best of all consumes low data. They offer the best features of mobile apps and websites but can be discovered via search engines. Perhaps, the winning characteristic of a Progressive Web App is its ability to work offline. For the user, this means, uninterrupted access in case of a flaky internet connection or no connection at all. While PWAs are great for users, its defining characteristics like lightning speed, offline access, zero installs, device independence, search-ability, and link-ability are actually heaven-sent for eCommerce merchants. Forrester’s May 2017 report predicts that mobile web traffic will outpace desktop by 2019. However, the mobile web experience is clunky, with conversion rates dismal despite optimized “responsive” experiences. The future of the mobile web is linked strongly with PWAs. In fact, the latest wave of PWAs’ eCommerce successes include the likes of Flipkart (triples time on site) and Alibaba (76% increase in conversions). PWAs’ impressive and futuristic mobile web experience means that responsive and native apps are not nearly enough, at least for eCommerce businesses where conversion is the mantra. Merchants will now be able to offer faster, an application like experiences for their audience. Factors like seamless checkout, higher engagement through push notifications, ability to promote discounts and product releases – at optimized speeds even in low bandwidth and highly dense network countries, will empower e-tailers to enhance their ROI and leverage mobile commerce to its full potential. What’s more, PWAs powered by Magento promise higher conversion rate and top-line growth at a significantly lower cost of total ownership (TCO). This is because you don’t have to maintain mobile web and native app stores separately. Some of the early adopters of PWAs have already witnessed a major reduction in page load-times, longer on-site times and double digit rise in conversions. PWAs deliver next-level mobile customer experiences and Magento understands the eCommerce business like no other platform. It will be interesting to see how a combination of these technologies will influence the marketplace that is ready to invest, experiment and reap rewards. All signs indicate it has the potential to raise the bar and certainly a time for CMOs to benefit from this potent partnership. Rishabh Software as a Magento eCommerce website development company helps organizations drive business growth by leveraging Magento’s eCommerce platform. Get a Free ConsultationLet our experts guide you through your eCommerce business plan.